All companies registered in India are required to file income tax returns each year on or before September 30th. Under the Income Tax Act, company tax return filing falls under two categories, namely domestic company or foreign company. Domestic company means an Indian company wherein the income is liable to tax and companies that have made arrangements for the declaration and payment of dividends within India. Companies registered with the Ministry of Corporate Affairs like Private Limited Company, One Person Company or Limited Company are classified as a domestic company. In this article, we look at the procedure for filing income tax return for a company in detail. The following is the Income Tax rate applicable for a domestic company registered in India for the Financial Year 2018-19 or AY2019-20. The following income tax rates are applicable for domestic companies. The income tax computed in accordance with above rates, and after being reduced by the amount of tax rebate shall be increased by a surcharge. Taxable Income exceeding ₹ 1 Crore – 7% of computed income tax. Taxable Income exceeding ₹ 10 Crores – 12% of computed income tax. Health and Education Cess is computed at 4% of the total of Income Tax and Surcharge. The following income tax rates are applicable for companies registered in India for FY 2017-18 or AY2018-19. Income tax rate of 25% of total income is applicable for companies having total turnover of less than Rs.50 crores in the year 2015-16. For companies having a turnover of more than Rs.50 crores in the year 2015-16, income tax rate of 30% is applicable. 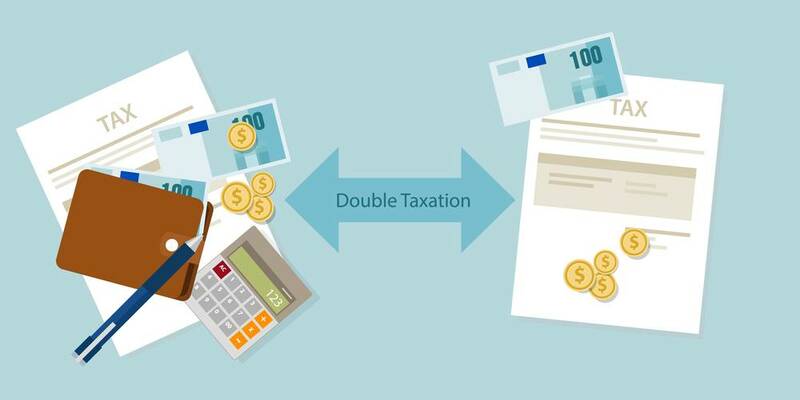 Income tax surcharge is applicable on the amount of income-tax computed. Income tax surcharge is applicable on the following rates based on the total income of the company. Companies having total income of Rs. 1 crore to Rs.10 crore rupees are liable to pay income tax surcharge at the rate of 7% of such income-tax. Companies having a total income of over Rs.10 crore rupeesare liable to pay income tax surcharge at the rate of 12% of such income-tax. The amount of income tax, increased by the income tax surcharge will be further increased by “Education Cess on income-tax”. Education cess on income tax for companies is calculated at the rate of 2% of income-tax and surcharge. The amount of income tax, increased by the income tax surcharge will be further increased by “Secondary and Higher Education Cess on income-tax”. Secondary and Higher Education Cess on income-tax is applicable at the rate of 1% of income-tax and surcharge. All companies registered in India are required to file income tax return on or before the 30th of September. Companies incorporated between January – March can file MCA annual return after 18 months in the first year. However, the same type of exemption is not available under the Income Tax Act. Hence, even companies registered from January – March must file income tax return on or before 30th September of the same calendar year. Companies registered in India can file two types of income tax returns, namely ITR 6 and ITR 7. Most companies that are operated for profit need to file ITR 6. ITR 7 must be filed by companies required to furnish return under sections 139(4A) or 139(4B) or 139(4C) or 139(4D) or 139(4E) or 139(4F). Hence, only Section 8 Company would be required to file income tax return in for ITR 7. Return under section 139(4A) is required to be filed by companies in receipt of income derived from property held under trust or other legal obligation wholly for charitable or religious purposes or of income being voluntary contributions. Return under section 139(4B) is required to be filed by a political party. Return under section 139(4D) is required to be filed by a university, college or other institution. Return under section 139(4E) is required to be filed by a business trust. Return under section 139(4F) is required to be filed by an investment fund. ITR return forms are not capable of accepting document attachments. Hence, there is no requirement for filing of any documents with the tax return like identity proof, bank statement, proof of investment, TDS certificates, etc. However, all supporting documents for the income tax return must be stored by the taxpayer and should be produced before the tax authorities when demanded in an assessment or inquiry. Class 2 digital signature is required for filing ITR 6 or ITR 7. Hence, it is important to ensure that the Directors have a valid digital signature before the income tax return filing due date. A company is an artificial judicial person having a separate identity.To open a bank account for file income tax returns, PAN is mandatory for a company. 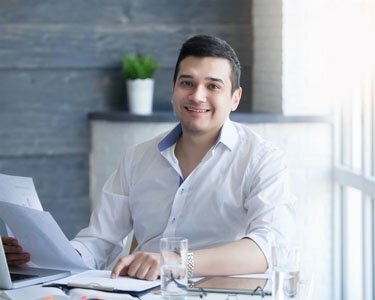 Hence, after incorporation of a company, the promoters must apply for PAN for the company in Form 49AA along with a copy of Certificate of Incorporation issued by the Registrar of Companies. Income tax return for companies can be filed through the Income Tax website or through IndiaFilings. 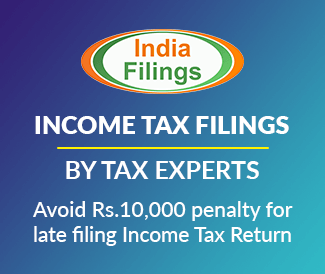 IndiaFilings can help you file the income tax return for your company, quickly and easily. Get in touch with an IndiaFilings Advisor to get started.